My favourite DIY project for 2017 were these Wool Dryer Balls I made for Clean Eating Magazine. I'd seen wool and rubber dryer balls for sale at health food stores, but they were always expensive and I knew you needed to use several per load and I was not ready to buy multiple sets. So, when I was assigned this DIY project by my editor, I dove in head-first! Most conventional dryer sheets contain synthetic fragrances and heat-activated fabric softeners that can irritate the skin and respiratory system. A fantastic natural alternative is to make your own felted wool dryer balls. Wool dryer balls help clothes dry faster by separating fabrics and helping air to circulate more efficiently. They also prevent static cling and naturally soften clothing. Best of all, wool balls can be reused hundreds of times and will last for up to five years! The balls are incredibly easy to make and you can find the full instructions at Clean Eating Magazine. 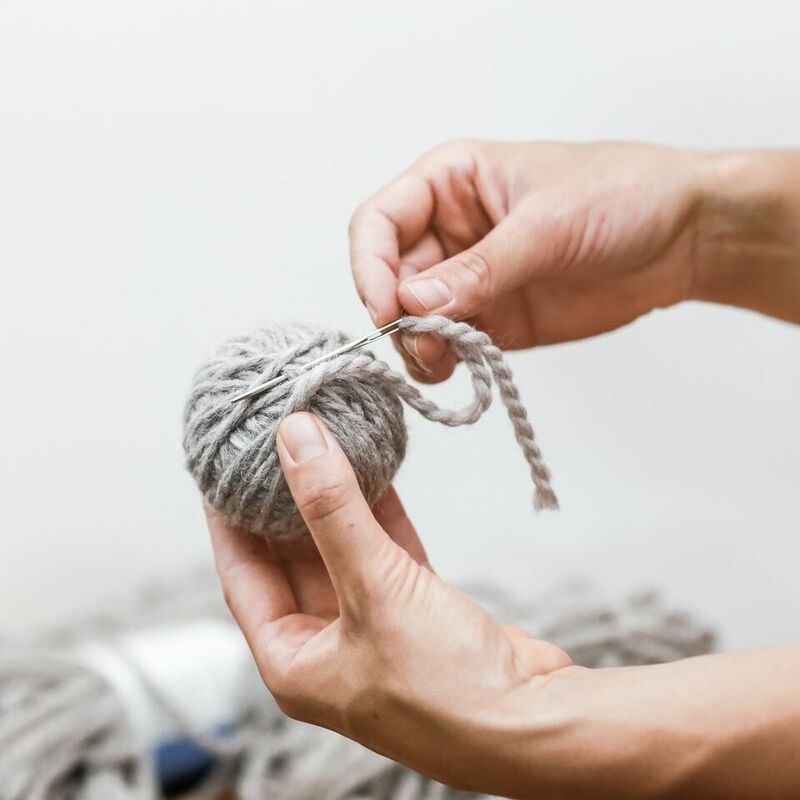 Make sure you purchase wool that hasn't been bleached and that isn't 'super wash' or 'machine-washable' so that it felts well in the wash.
My favourite part is how easy it is to add natural fragrance to the laundry! A few drops of your favourite essential oils on the balls will scent several loads. You'll find the recipe for my favourite blend, 'Mountain Air' and the complete instructions for how to make the balls here! Hope you love them as much as I do! And if you have an essential oil blend you've been loving, share in the comments below!